Waterside House, No 5 Courthouse Square. O'Donnellan & Joyce is seeking expressions of interest in this prime city centre premises. 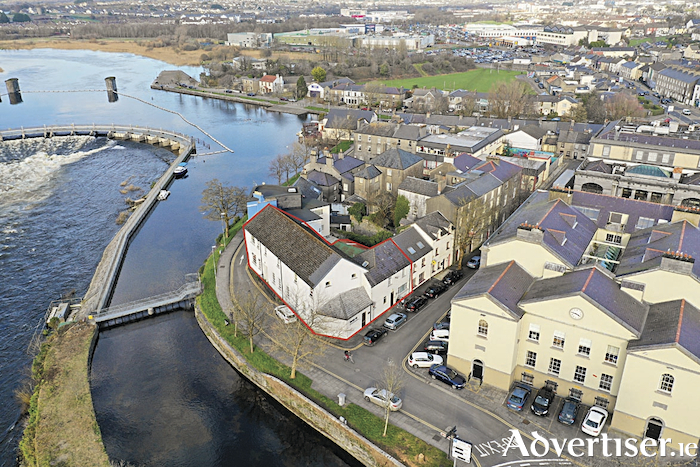 In terms of location, Waterside House has it all — situated moments from the heart of Galway city while enjoying a peaceful setting overlooking the River Corrib and the Salmon Weir Bridge. Waterside House comprises two residential premises that were integrated in recent years. Accommodation includes an entrance hallway, front office, laundry room, store area, and bathroom on the ground floor, while upstairs there are five bedrooms, office, toilet, and kitchen. There is also a self-contained one bedroom apartment along with a further office and staff room. Zoned Residential under the current Galway City Development Plan, this substantial property offers various opportunities in one of the city's most idyllic settings. Contact Colm O'Donnellan or Shane McDonagh of O'Donnellan & Joyce at 091 564212 for further information.